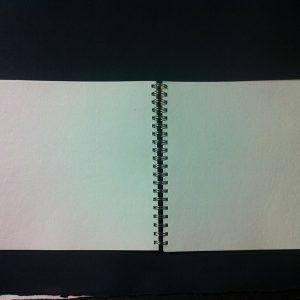 All Wiro sketch books are made with Khadi Rag paper pages. 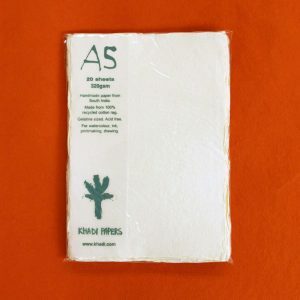 Khadi Rag Paper – Artist Paper made from 100% long fibered cotton rag, resulting in exceptional strength and durability. They are tub sized (surface sized) with Gelatine. For watercolor and all painting and drawing åÊmedia. For oil paint prime with gesso or acrylic primer. Acid free. A watercolor paper alternative doesn’t have to be hard to find. 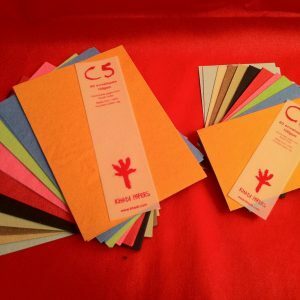 At Canvas ETC., we proudly offer artisan made khadi paper products from India. The paper available works well with many different art materials, including water color. 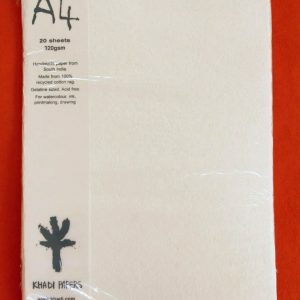 Khadi art papers consider themselves as a high quality watercolor paper alternative. For all of your watercoloring needs, khadi paper has it covered. Our wiro sketchbooks come equipped to house all of our watercolor artwork in one convenient place. You’ll stay prepared to paint wherever inspiration strikes with our premium sketchbook offerings. 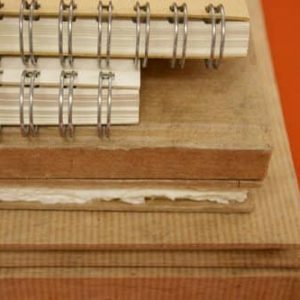 Our W4WR khadi paper sketchbook is 10×11 size will fit in most bags so that you can stay on the move and paint whenever you’d like. 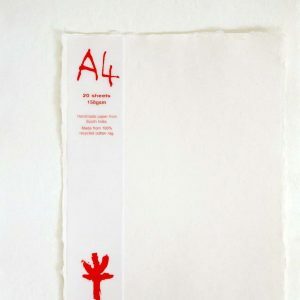 Khadi paper is the watercolor paper alternative, however traditional watercolor paper options are available as well. Typically, watercolor paper is either hot press or cold press paper. They are also processed in varied weights. Hot press watercolor paper refers to the finishing process of said sheets of paper. 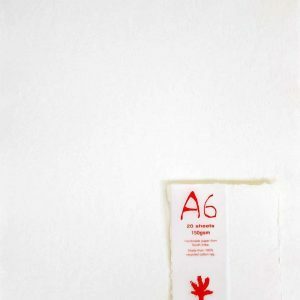 This version of watercolor paper is thicker than cold pressed paper and is made smooth by pressing it within a hot paper press. The sheets become finished to be as smooth as traditional paper. Cold press watercolor paper also refers to its finishing process. This paper finishes in a vat of cold water which creates a style of rough paper. Thinner than hot press paper, cold press watercolor paper soaks colors faster than hot press paper because of the surface. The weight of a watercolor grade paper varies based on how it’s processed. Heavier sheets like 300 pound paper do not require stretching before painting. Stretching sheets under 140 pound is common due to the fact that the paper usually curls or becomes slightly deformed by the watercolor art supply itself. 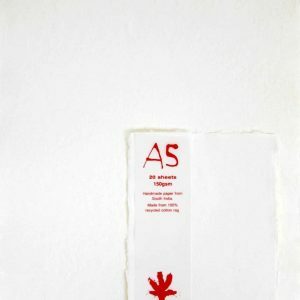 Although art papers style themselves in particular varieties, each serve a succinct purpose. 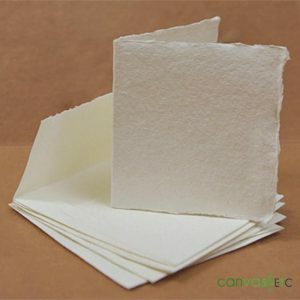 While traditional watercolor paper is good for most artists, the benefits of khadi paper make for an essential watercolor paper alternative to use in all watercolor projects. 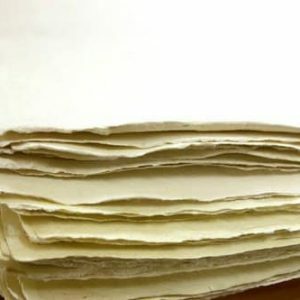 As mentioned, khadi paper handcrafted in India occurs with the help of artisan paper makers. 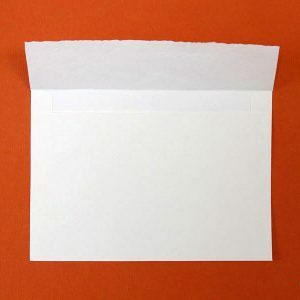 This fine quality paper is natural and acid free. The process of turning cotton rag to khadi sheets is interesting and makes for a perfect watercolor paper alternative. 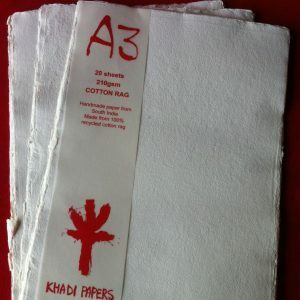 Khadi paper’s processing is unique and environmentally conscious. 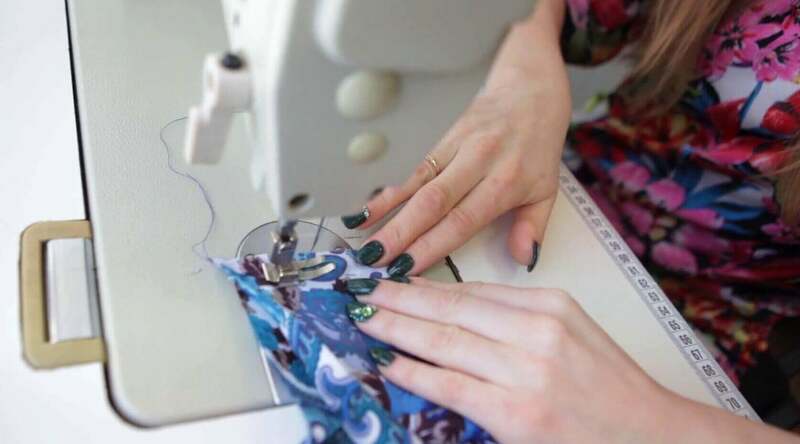 Derived from recycled cotton t-shirt clippings, it’s pulled apart to extract the cotton pulp which later becomes paper. The water used in the processing of khadi paper assists local farmer’s crops by being recycled and later used in agricultural irrigation. 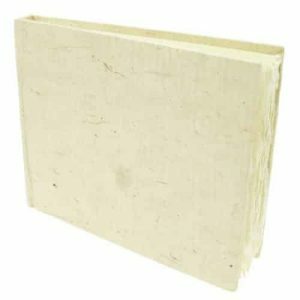 Unlike traditionally made wood pulp paper which forms on a continuous roll, khadi papers form sheet by sheet in a surface sized tub. 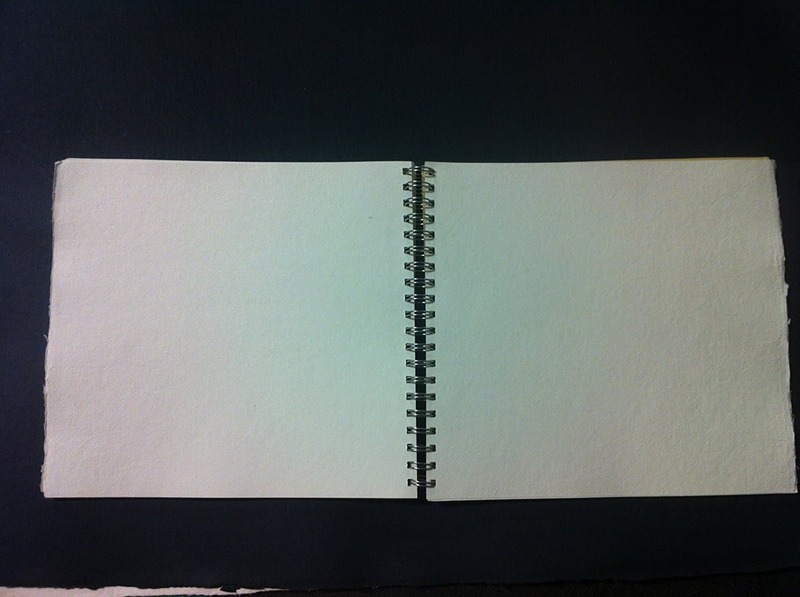 Sometimes, when the pages are over formed they leave behind what’s called a deckled edge. This edge gives the paper a true artisan feel. When khadi sheets gain their shape, they’re pressed between woolen felt or zinc. 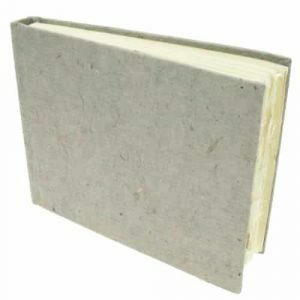 Papers pressed with the felt leave behind a slight rough texture, while zinc pressed sheets are smooth. After pressing, those used for watercoloring become coated in gelatin. The gelatin coating promote the working above the surface of the sheet. This allows for not only watercolors, but also various art materials like oil paints or acrylic paints. Overall, khadi papers are great for many forms of art work to materialize on its sheets. Khadi papers are so versatile that their use extends over many different art materials. 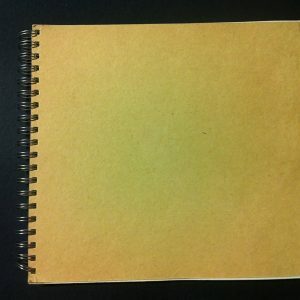 For artists, a paper that is able to do it all is ideal. This fine art paper does just that. As we’ve learned, khadi papers work great as a watercolor paper alternative. This means that if you’re a watercolorist who’s used to working with watercolor blocks, you may also use khadi paper for your watercoloring. The paper is durable and depending on the weight doesn’t require stretching like most watercolor sheets. As stated, khadi paper also works with various paints like oil and acrylic. You can also coat the paper in gesso prior to painting. The heavier the sheet, the least likely it is to require a backing to maintain its shape. It also is great for the sketch artist! 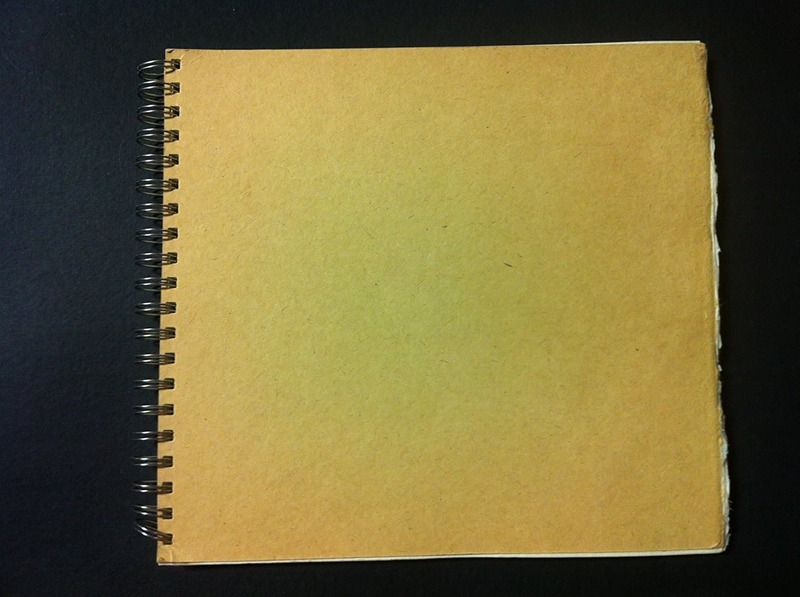 Our khadi sketchbooks were made for the conceptual artist. If pen, pencil, charcoal or other drawing forms are your preference, khadi sheets are key. All in all, no matter brush, pen, pencil, or otherwise– khadi papers can carry your prized artwork with pride. Keep Your Paper Fresh: Firstly, you want to start with fresh paper. If you’re repainting on the back of already used paper, your sheet may wrinkle depending on the thickness of the sheet itself. 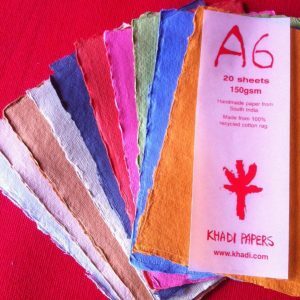 Use fresh sheets of our watercolor paper alternative offering, khadi paper. Spend a Little On Your Tools: You’re also going to want to invest some money in your tools. If you’re painting for fun, you may not see this as a big deal, but supplies that are a little more costly than your basic tools go a long way. Do a quick search on mid-tier supplies like brushes and paint for your watercoloring needs. Keep Your Space Organized: Once you’re supplies are in place, keep them organized! Having all the materials you need like extra paper, paint, brushes, water, scraping tools and more can be easily disorganized with each painting session. Using trays, old boxes, cups and other containers will keep your tools accessible and keep you focused on your art! When In Doubt, Sketch It Out: Not sure about your vision? Sketch it first! As previously mentioned, our khadi papers are great with all tools, so grab a pencil and eraser and sketch your idea before applying the paint. This allows for editing your work to perfect your final product. Have FUN! : Creating art is a fun and often cathartic experience. Remember that as you paint and you’ll enjoy it for years to come. These tips and many more help your art become a reality. Overall, watercolor painting can be an exciting and amazing experience when you apply your paint to the page! 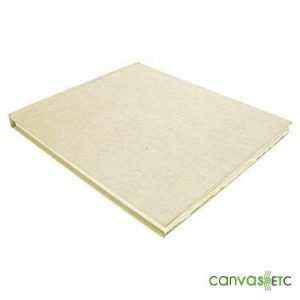 At Canvas ETC., we supply artists like yourself with high quality watercolor paper alternative sheets like Khadi artist papers. We’re invested in your creative endeavors! Use our fine khadi sheets to create all sorts of artwork, including watercolor scenes. 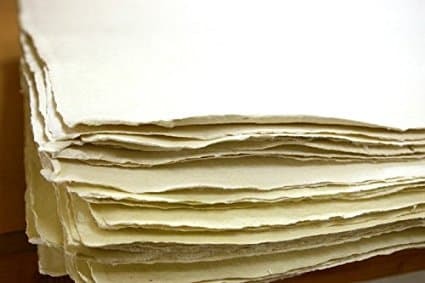 If you’re looking to learn more about all of our khadi offerings for upcoming projects or have additional questions about khadi paper, feel free to contact us today and one of our experts will help you.